It has come to be attention that some readers may be confused about the last couple of Community Matters posts and are questioning why Tredyffrin Republican supervisor and school board candidates did not respond to my questions and that the Democratic candidates did. Hope this post will offer clarification. In early October, I sent an email to all the Tredyffrin Republican and Democratic supervisor and school board candidates. In addition, I sent the Republican and Democrat school board candidates in Easttown the same email. The email asked the candidates to (1) idenify what they thought was the most important issue facing either the school district or the township, (2) the candidate was asked what they would do to help or solve the issue if elected and (3) what in their background or experience qualifies you to help solve the issue. I was specific and asked that the 3-part question be 200 words or less and gave them a deadline that was prior to the League of Women Voters debates.
. . . Believing that it is important for voters to make an informed decision on which candidate they elect to serve us, I saw no downside to the candidates participation in May nor did I at this time. “Our BOS and School Board candidates prefer not to submit answers to the questions you posed to them until after the LWV [League of Women Voter] debates. The questions were all ones that were asked in the debates two years ago – as they should have been, they are key questions – but to have our answers published first is not fair to the LWV and makes the job of our candidates harder to distinguish themselves in the debates. Following the League of Women Voters debates, I received responses to my questions from the Democratic supervisor and school board candidates. Although the responses were past my original deadline, I thought there was value for the voters in posting them. But so everyone knows, I actually sent a courtesy email to the Republican candidates last week to explain that the I had received the Democratic responses and offered the Republican candidates a second opportunity to answer the questions. My email to the Republican candidates stated that that no response was required if they were not going to participate; and for the record, there was no response to my email. So there is absolutely no question in anyone’s mind — if the Republican supervisor and school board candidates would like to answer the 3-part question — I am now making a third offer to them. Candidates — answer the 3-part questions in 200 words or less and email them to me at: tredyffrincommunitymatters@gmail.com I will be happy to post your responses! I hope this clarifies the timeline and that I gave all candidates exactly the same opportunity. I am sorry if there was any confusion! Why Must the Campaign Season be ‘Politics as Usual’ . . . Please, Can it be the Truth? Is it ‘all in the name of politics’ these days that candidates seeking public office can simply fabricate information and then claim it as a truth? Is that OK or just what we have come to expect during campaign season? Depending on where you live, as a Tredyffrin Township resident, you may have a received a negative political mailer today from the Tredyffrin Township Republican school board candidates. This mailer immediately took me back to two years ago, when as a supervisor candidate and new to politics, my fellow supervisor candidates, Eamon Brazunas and Sean Moir and I were the target of a similar negative mailer. I will never forget the feeling of distress at reading misleading and false information contained in that 2009 campaign mailer about myself. And it is for that reason that I must use this forum to speak out on today’s Republican school board candidate mailer. The words on the mailer from the Tredyffrin Republicans state . . . “Tredyffrin’s Democrat School Board team wants to implement an income tax” and “. . . the Democrat Team for School Board has begun the process of creating a new tax – an earned income tax”. These words are not only misleading, they simply are not accurate and hurtful. Previously I have written about my disappointment at the yellow ‘No EIT’ Republican signs. I believed that the school district’s tax study group should present their ‘pros and cons’ of an earned income tax at next week’s public meeting without premature judging from a political party. OK, I get the idea behind the signs – they present an effective way to make it look like the Democrat candidates are ‘for’ an EIT without having to actually say it. Although we did hear all supervisor candidates state, at Monday’s League of Women Voters debate, they were opposed to an earned income tax (and that included the Democrat candidates). So, as I read the words on the Republican school board candidate mailer, I ask where did any of them read or ever hear a Democratic school board candidate say that he or she wants to implement an earned income tax. It is one thing to imply something cleverly on a political sign, but stating a falsehood as the truth is something different. It is particularly disheartening that this is a mailer for the ‘school’ board election . . . don’t we want to set the right example for our children? I support the value of giving voice to the community but not for those who choose to further divide us. Shouldn’t we want better for our community? Tredyffrin Township and its residents deserve the truth. I know several of the Republican school board candidates personally — and I believe that they are better than this mailer represents. Community Matters did not exist two years ago so I did not have many options to ‘balance the scale’ after I was the targeted with misleading and false information during the campaign. Because of my experience, I am giving the four Democratic school board candidates – Karen Cruickshank, Jerry Henige, Scott Dorsey and Jenny Wessels an opportunity to respond to the Republican mailer on Community Matters. If they choose to respond, I will post their comments. 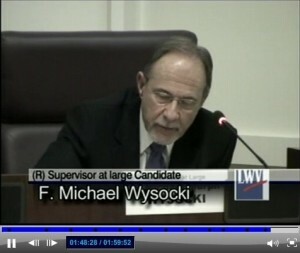 ﻿This week’s supervisor debate video has been available for a couple of days online at http://tredyffrin.pegcentral.com/ . I encourage all voters to watch the video prior to Election Day. The debate presents voters with a great opportunity for candidates to better understand where the candidates stand on some of the important issues facing Tredyffrin Township. I am surprised that no one has pointed out the labeling problem in the debate video — I just checked and it has not been corrected. See below — Murph Wysocki is an At-Large candidate but is running as a Democrat not as a Republican. Could be confusing for people watching the video! League of Women Voters Forum for Tredyffrin Supervisor Candidates . . . A Debate or a ‘Love Fest’? The League of Women Voters held the Tredyffrin Township supervisor debate last night. Seven candidates are vying for four seats on the board, with incumbents JD DiBuonaventuro (R), Mike Heaberg (R) and Paul Olson (R) trying for another term. Candidates stepping out for the first time include Kristen Mayock (R), Tory Snyder (D), Murph Wysock (D) and Molly Duffy (D). Incumbent DiBuonaventuro is unchallenged in the township’s District 3 race. The format of the evening was a 2-minute self-introduction by the seven candidates, followed by answers submitted by audience members and ending with closing remarks by. Each candidate was asked the same question, with the initial question rotating through the candidates. The debate was taped but there will be approximately a 24-hr. delay before residents can watch it at home. So . . . what was my opinion? How did the candidates perform? Was there a theme of the evening? Buzz phrases of the debate . . . If I did not know the party affiliation of the supervisor candidates, there were times during the debate that their responses and choice of words were so similar it was hard to differentiate between the Republicans and the Democrats. Is that an indicator that the politics of Tredyffrin Township fall somewhere in the middle, in the ‘moderate’ range or . . . is it an indicator that the candidates are politically savvy and have figured out what sells to this community? The answer probably lies somewhere in the middle. How were their responses similar? On the topic of Earned Income Tax, every candidate was opposed to adding another tax – an opinion offered equally by both Republican and Democratic candidates. What was unclear re EIT . . . were the candidates opposed to the EIT for the school district and the township? Or where they only opposed to the EIT for the township? I submitted a question to the League of Women Voters that was not chosen that might have clarified the candidate’s positions. My question, “If the school district (in the next year or two) were to place an EIT on the ballot, what would be your position on taking the 50% to which the township is entitled by state law?” Would the candidates still be opposed to the EIT under these conditions? Don’t know. Although all candidates stated they opposed an EIT, Democratic candidate Tory Snyder indirectly referenced the ‘no EIT’ Republican campaign signs. Snyder who has served on the township Planning Commission for the last 10 years and served as chair of the Sidewalk Subcommittee understands the value of volunteer’s time who serves on township boards, committees, etc. So although personally opposed to an EIT, Snyder made a point of the stating her respect for community volunteers serving on the school district’s tax study group, their work and upcoming presentation on the EIT. All seven candidates repeatedly stated the need for township budget support for police, fire and emergency services. If you recall the 2010 township budget included reduced funding to the fire companies. However, after hearing the very loud public outcry to replace the reduced fire funding in the budget, three supervisors (Warren Kampf, Bob Lamina and Paul Olson) took their appeal to local businesses and residents and was able to recover the funding for the fire companies. If last night was any indication, the local fire companies have nothing to worry about when it comes to township funding support. All supervisor candidates listed public safety as a priority and its funding a necessity. Several candidates spoke of community engagement in order to best represent the desires of their constituents. Economic revitalization and redevelopment were repeatedly discussed as one question very specifically asked about Chesterbrook and what would the candidates do to improve it. As current township supervisors, DiBuonaventuro and Heaberg both said that it has been difficult to get to the new owner of the Chesterbrook shopping center. (Australian company Centro Properties sold the shopping center to the Blackstone Group earlier this year). Candidate Molly Duffy offered that the Chester Valley Trail and Patriot’s Trail would be coming through Chesterbrook. Duffy explained that the new sidewalk at Penn Medicine would eventually connect through Chesterbrook offering new revitalization opportunities. As an attorney working in real estate and a current member of the township’s Zoning Board, Republican candidate Kristen Mayock offered that she would be able to help potential developers through the system. Mayock would like to see the township business development process more stream lined and easier to use. Heaberg discussed the Economic Development Committee that was approved back in April and of his work with the large leasing companies, small business owners and corporate representatives. Heaberg, with supervisors Phil Donahue and Michelle Kichline are interviewing prospective members for the Economic Development Committee with the idea that the committee will be able to offer assistance in township business development and redevelopment. It was interesting to note that Democratic candidates Murph Wysocki, real estate attorney, Tory Snyder, planning professional and Molly Duffy, attorney and small business owner have all applied to serve on the Economic Development Committee. From my vantage point, probably the most important question asked during the debate was (1) what the candidates viewed were the priorities for the township and (2) how would they fund these priorities. Candidate Wysocki responded that money and the township budget was a priority. Wysocki suggested the need to prioritize necessary services to taxpayers but at the same time offering the taxpayers better value. He suggested creatively using grants and pooling purchases as ways to fund the priorities and stated that economic revitalization will broaden the tax base. DiBuonaventuro stated that there are two priorities facing the township — (1) managing the township budget and (2) reinvestment in the community and township. Duffy listed economic development as her priority and used Paoli and Chesterbrook as examples of areas that need redevelopment. She stated that the Chester Valley Trail will be a way to increase property values and suggested that vision for the future. 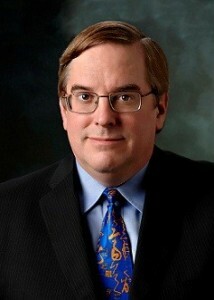 Heaberg stated that ‘my priorities are your priorities’, indicating that he believes in following the priority needs of the residents. He stated that residents have indicated public safety and infrastructure needs (sewer, paving roads, snow removal, libraries, maintanence of the 13 township parks) as important priorities. Heaberg believes in addressing priorities in a fiscally responsible way. Mayock’s list of priorities for the township is two fold; holding the line on taxes and the encouragement of redevelopment. She supports continuing to keep pressure on the Paoli Transportation Center project; offering that she had contacts that can help move this project. Olson stated the health, safety and welfare of residents are his priority plus continuing to support the library. He offered that the township has a $17 million reserve and that was achieved by being fiscally responsible. Snyder offered that her priority for the township is (1) the management of the $30 million taxpayer’s dollars in the township budget and (2) to bring value to residents for services. However, beyond that, Snyder wants to bring ‘vision’ to the Board of Supervisors — enthusiastically stating that is what planners ‘do’! Snyder cited the township’s comprehensive plan that she worked on and of the plan’s specific steps for implementation. Synder pointed to using qualified professionals who live in the township, as volunteers to help implement the plan, summing up that we “need people that recognize vision”. As I was leaving the debate, someone commented that it was like a ‘love fest’ among all the candidates. I knew exactly what this person meant. It was refreshing . . . there was no arguing or partisan wrangling; all the candidates (4 Republicans and 3 Democrats) conducted themselves with civility and respect for their fellow candidates. To all the voters in Tredyffrin Township – let me say, all of these candidates are qualified to serve as your elected officials. Attorneys, planning professional, small business owners, financial experts, community volunteers . . . yes, it was obvious they all have the experience, background and the credentials to serve. Your supervisor selection is a very personal choice — I encourage you to watch the entire debate and decide for yourself. Personally, I think that one candidate excelled last night and one candidate fell a bit short but it should not be about Pattye Benson’s opinion . . . talk to the candidates and ask them your own questions, watch the debate and then take your decision to the polls on November 8. Your voice does matter and your vote counts! Tax Study Group to Present EIT Findings . . . Will Yellow Signs by Republican Candidates Influence Residents? As part of the budget process for the T/E School District, a Tax Study Group composed of community volunteers was formed to determine the impact of an earned income tax (EIT) on residents and the school district. The goal of the group was to identify the pros and cons of an EIT for residents and then present their findings in a public presentation to the community. The Tax Study Group will offer its findings on Thursday, November 3 at 1 PM at the T/E Administration office, 940 W. Valley Rd, Suite 1700, Wayne and again at 7 PM at the Valley Forge Middle School, 105 W. Walker Road, Wayne. Please plan to attend so that you can make an informed decision on EIT (in the event it is on the Primary Election ballot in April 2012. I have expressed my disappointment that the Republican candidates (school board and supervisor) took an advance stand against an earned income tax prior to the presentation of the Tax Study Group. In fairness to the process, and to the volunteer’s time of those serving on the study group, why not wait until after the presentation of the EIT before publicly declaring that you are against it. The severity of our school district’s economic situation requires that all options be explored – the presentation by the Tax Study Group on the earned income tax is one of those options. An ‘As I See It’ article written by John Petersen, resident of Paoli appeared in the Main Line Suburban newspaper a couple of weeks ago. The article was written shortly after the first bright yellow, ‘no EIT’ signs began appearing in the township. Because the article was not included on Main Line Media’s online site, I could not provide a link on Community Matters. If you have been driving around Tredyffrin (since this is not a walking township), you may have noticed a new type of yellow growth sprouting up all over the place. Naturalists have classified it as Fungi Reipublicae. In fact, these yellow growths are actually a new version of the yellow GOP signs that we saw in 2007. These signs come in two flavors: “No Earned Income Tax” and “Top Ranked Schools.” Both cite that you should “Vote Republican”. Let’s break down the claims. This sign would have you think that there is an active question in front of the voters and that if you vote Republican, you will be saved from the evils of an Earned Income Tax. Let’s set aside the fact that many already pay an EIT for a moment and instead, concentrate on the straw man argument that Tredyffrin GOP is perpetuating. In fact, there is an earned income tax study committee that has been commissioned by the school board. That committee was first suggested by Republican school board member Kevin Mahoney. To review, there is no active tax question in front of the voters and the only group that is studying the feasibility of an EIT in Tredyffrin was suggested by a Republican. It’s true, T/E Schools are quite good. The Tredyffrin Republican Committee would have you believe that Republicans, and Republicans alone are responsible for our “top ranked schools.” In fact, there are a number of Democrats on the school board. I guess they have nothing to do with the successes. Fine, let’s give all the credit to the Republicans. But if we do that, let’s examine the whole cloth. Of Lower Merion, Radnor and T/E, is T/E the best? In terms of facilities, absolutely not. While T/E has retrofitted old buildings, both Lower Merion and Radnor have made a commitment to invest in infrastructure, the type that is required for children to get a top-notch public education in the 21st century. As for test scores, college acceptance, etc – Lower Merion and Radnor are at least as good as T/E. How about labor relations? T/E is definitely not at the top of the class there? How about fiscal responsibility? T/E is about 9 Million in the hole. You know all of the sweetheart deals for teachers the Republicans are complaining about? Guess what, it’s the Republican led school board that has consistently given the unions what they wanted. At the same time, they are not keen on paying for it. Those same Republicans have consistently raised our property taxes year after year. And yet they are the same people who claim to be protecting us from the evils of an earned income tax. Any organization that would try and sell the political rhetoric that we see in these yellow signs clearly does not respect their customer. The Republicans believe that we are all too stupid and too quick to fall into the fear trap. The Republicans are banking on the fact that we will believe the scare tactics that the other side is just out to tax and spend our money. Seems to me, the Tredyffrin Republicans have done a good job of that on their own already. They don’t need help from anybody! And never forget, the Tredyffrin Republicans is the party of Bob Lamina, and Paul Olson. If that is not enough reason to give the Tredyffrin Republicans a vote of no confidence, I don’t know what is. Tredyffrin Supervisor and School Board Candidates Do Not Participate but Easttown School Board Candidates Do! (2) If you were elected, what would you do to help solve or improve this issue? (3) Tredyffrin Township (or Tredyffrin Easttown School Board) needs problem-solvers; what in your background or job experience qualifies you to help solve this important issue? In addition to posting their responses to the 3-part question, I offered to include the candidate’s resumes on Community Matters, as I did prior to May’s Primary Election. Believing that it is important for voters to make an informed decision on which candidate they elect to serve us, I saw no downside to the candidates participation in May nor did I at this time. Dariel also suggested that voters could visit the website of the candidates. She apparently does not want the Democratic supervisor and school board candidates to ‘show their cards’ in advance of the debates next week. I’d be more likely to buy that explanation were it not for a lengthy editorial written by Democrat at-large supervisor candidate Murph Wysocki that appeared in last week’s edition of the Main Line Suburban newspaper, Main Line Media News online and TE Patch online. His editorial describes his background and skill set and what he views are the important issues facing the township; in essence, answering the 3-part question that I posed. This week I see that Democrat supervisor candidates Molly Duffy and Tory Snyder have a joint letter to the editor in the paper in the Main Line Media News. In other words, Dariel’s logic of not wanting to ‘let the cat out of the bag‘ pre-debate is lost on me. To be fair, I do not know if the Democrat candidates weighed in on this decision or not. In the case of the Republicans, their email was signed by the candidates. As full disclosure, Dariel did offer that the candidates could answer my 3-part question after the debate. I believed that this was a win-win opportunity for candidates (and more importantly, the voters) to respond. My sole purpose in sending the request to the supervisor and school board candidates was to offer voters an additional resource to ‘know the candidates’ before Election Day — believing that the more informed the voter, the better choice he or she will make. I also saw this as one more opportunity for voters to review the resumes of the candidates before voting. I want to see our community elect independent-thinking problem solvers and viewed that this exercise could encourage voter turnout on Election Day! You notice that I talk about the Tredyffrin school board candidates; not the Easttown school board candidates. Easttown resident and TE School Board encumbent Pete Motel (R) is being challenged by Easttown resident Craig Lewis (D). Because our school district is made of school board members from Tredyffrin and Easttown Townships, I had sent Motel and Lewis the same email with the 3-part question. Motel and Lewis were appreciative of my offer to help inform the voters and have chosen to participate. For the record, Motel and Lewis will also be participating in next week’s school board debates alongside the Tredyffrin school board candidates. When I sent my emails to the supervisor and school board candidates, I stated I would post their responses in the order they were returned. Therefore, Pete Motel’s response is first, followed by Craig Lewis’ response. Their resumes follow their responses. Although I cannot vote for either Motel or Lewis for school board, I thank them for their participation and understanding the importance of informing voters on the candidates. The biggest challenge facing the T/E School District is maintaining the quality of education it delivers during the current economic downturn. 2) Decreased home sales resulting in decreased real estate transfer tax. This is coupled with steep increases in the state required contribution to the state pension system – now millions above the contribution required last year. Great efforts have been made by the Board to balance the District’s budgets without significantly effecting educational opportunities. The Board has implemented cost containment through administrative salary freezes, implementation of self-insured health insurance and more efficient scheduling of staff time. With the economic recovery projected to take another several years, T/E Boards need to continue to cut expenses without reducing core educational programs. Success will require detailed knowledge of District operations and proven leadership skills. My experience on the T/E Board as Committee Chairs and past Board president, coupled with my professional experience as a small business owner, demonstrate that I have the proven skills to help guide the District through the next few years of difficult budgets. TE’s biggest issue is irresponsible budgeting. My opponent, republican Dr. Motel, has mandated 5 study halls per week in Conestoga High (12% instruction reduction) AND a 20% increase in students per teacher. TE was the 4th best high school in Pennsylvania. Losing this rank will result in a 10% home price decline, reduced college acceptance, scholarships and earning potential. My opponent diverted education money to purchase, tear-down and build non-educational facilities wasting millions of dollars. Halt all construction and real-estate acquisitions. The teacher pay was cut and workload increased 20%. Aggressive cost reduction has to look at all other areas. Repeal the 5 study-hall mandate. Respect our staff; balance their workloads. Initiate summer enrichment programs for profit. Retirees deserve school tax relief – My opponent never did this, I will. I have twenty years of experience in setting goals, developing strategies, creating and managing budgets, both departmental and enterprise wide. This required creative approaches, engaging individuals from different departments to drive successful outcomes. Local Elections Matter . . . Will you vote on November 8? Take your pick – empty storefronts and vacant office buildings, roads and bridges in desperate need of repair, unemployment, environmental issues, such as storm water, dropping real estate values, rising taxes. Where do we start . . . how do we prioritize the issues? Tredyffrin Township may have fared better than some other areas of the country, but we have not escaped these problems. It may have taken longer for us to feel the pain . . . loss of jobs or a decrease in property values, but for many in our community, the problems now are very real. There is a dark mood in the country about the high unemployment and Washington’s constant bickering over how to solve pressing problems. The economic gloom shows in cutbacks, layoffs, bailouts and outright bankruptcies; what is it going to take to move this country forward in morale, reward and recognition. Like everyone else in this country, the residents of Tredyffrin are looking for solutions. In four short weeks, on Tuesday, November 8, it will be Election Day . . . we need to elect people who have forward-looking vision for this community. We need problem-solvers with specific solutions. There are obvious signs throughout the township that the countdown to Election Day has begun . . . political lawn signs appear to reproduce nightly, candidate mailers are arriving daily at our doors and in our mailboxes along with invitations to political fundraisers. Local elections do matter. Voting matters. Voting is really about affecting the country around you. There’s a feeling that local elections don’t matter which sometimes translates into ‘why’ bother. From the federal government to the state governor’s mansion to our local school board. Top to bottom, friends, our family and ‘us’ make a difference with our votes. We saw in the recent special election for supervisor that the result came down to a few votes. Your vote could be the vote that makes a difference! All registered voters in Tredyffrin Township have an opportunity to select township supervisors and school board directors as well as county commissioners, district attorney, district judge and township auditor. The League of Women Voters has planned a debate for the Tredyffrin supervisor candidates for Monday, October 24, 7 PM at the township building. The following night on Tuesday, October 25, a debate is planned for 7 PM at the township building for the school board candidates. We have a responsibility to our community. Let’s keep making Tredyffrin better, by voting on November 8. Local elections do matter. Last night was the first meeting of the township’s new Historical Commission. The seven members of the HARB (Historical Architecture Review Board) were appointed to the Historical Commission. The new commission was established with nine members. A Community Matters reader reminded me that I should advertise the two vacancies on the Historical Commission. We need one of the positions to be filled by a certified architect and the other would be for someone with a background/interest in historic preservation, history or archeology. I and three other Historical Commission members are working on a Chester County historic resource mapping project which has been fun – we’re locating and identifying all properties that are 75 years or older in the township, that were not included in the historic resource survey the HARB did 6 years ago. Unfortunately, we have discovered a number of the historic resources no longer exist. If I am going to name the vacancies on the Historical Commission, I thought it would be good to review all the boards and commissions in the township . . . and see where there are other vacancies. Municipal boards, commissions and advisory committees exist to further the township’s success through the volunteer participation of citizens in the daily business of community government. The following vacancies currently exist in the township. If you visit the township website, www.tredyffrin.org you can read the requirements and mission of each of these boards. How does the process work for board appointments? I assume that my appointment to HARB (and now the Historical Commission) is similar to other boards/commissions. If you are interested in serving and have the background, experience or skill requirement you send a resume and letter of interest to the township at tredyffrin@tredyffrin.org . The supervisors are notified of your interest and an interview time is scheduled. It has been awhile ago, but I think there were 4 supervisors at my interview. I want to believe that all board appointments are made for the right reason. Appointments on boards and commissions should go to those that are best qualified to serve in that position. In the past, there has been talk of partisan appointments to some of the township boards. In response to this kind of discussion, I have deferred to the HARB (now Historical Commission) and its members. Historic preservation is very specific and those that serve are passionate about the history of the community and its historic resources. As an example, our group has always been without the bias of partisan politics. However, is the policy of nonpartisan appointments the same if you want to volunteer for other township boards, such as the Zoning Hearing Board or the Planning Commission? In my world, I would hope that the Board of Supervisors would treat applicants equally and choose the best qualified candidate, regardless of their political party affiliation. There should be a sense of fairness to the board and commission appointments. Citizens should apply and feel they have an equal opportunity to serve on any board or commission, regardless of their political affiliation. If they are the most qualified and have a willingness to serve, all citizens should be welcomed. If any of these vacancies appeal to you, I would encourage you to submit your resumes. It is a wonderful way to volunteer and help your community. What’s the future of the Paoli Transportation Center project . . . Remember, ‘Rome wasn’t built in a day’! I continue to wonder about the PA Department of Transportation’s interest in the Downingtown train station; the cost of purchasing land and building a new train station when the existing station is only 20 years old. I am certain that Downingtown probably needs additional parking but with one-third the daily ridership of Paoli, I am troubled how the Downingtown project, seemingly out of nowhere, appears to have shot to the ‘head of the class’ in interest for the DOT. With major budget cuts in Harrisburg, and a finite amount of dollars for transportation projects, there should be alarm for existing transportation projects such as the Ardmore Transit Center and the Paoli Transportation Center. Will there be enough money to go around to all these projects? There is concern in Ardmore that their long-standing transportation project may likewise take a backseat to Downingtown, and the suggestion is that it is political connections – either by Downingtown elected officials or ‘lack of’ connections by Ardmore’s elected officials. To read further about Ardmore, see the latest post from Carla at Save Ardmore Coalition. Why does politics have to drive projects in Harrisburg? Is it the squeaky wheel that gets greased? Sen. Andy Dinniman’s jurisdiction covers both Downingtown and Paoli, so which train station project does he prioritize . . . the project that is years in the making (Paoli) or this new train station project in Downingtown? Serving as state representative for the 155th legislative district, which includes Downingtown, is Curt Schroder (R-East Brandywine). A quick review of his website did not produce any news on the Downingtown train project, but I did discover that Schroder chairs the House Gaming Oversight Committee that is responsible for the state’s gambling industry. As a senior state representative, I am guessing that Schroder has a direct line to Harrisburg and the governor. Back to the Paoli Transportation Center – some would suggest that what goes on in Downingtown has no bearing on Paoli; that these transportation projects are separate and apart. You know the saying, “Rome wasn’t built in a day”, I think that sums up the Paoli Transportation Center project. How does a community sustain interest in a project, when there appears to be so little forward movement? preparation of preliminary development costs and income potential. Look again at the date of that study, 1996 . . . 15 years ago! We know that Rome wasn’t built in a day but how many years does it take to build the Paoli Transportation Center? Last June 2010, there appeared to be a shot in the arm for the Paoli Transportation Center. Former State Rep Paul Drucker, a staunch supporter of the Paoli transportation project, announced $1 million in state funding from the Redevelopment Assistance Capital Program for the construction of the Paoli Intermodal Transportation facility and named Strategic Realty Investment as the project’s developer. Through Drucker’s efforts in Harrisburg, there seemed to be a renewed sense of urgency and momentum to build the train station with on-site parking garage and new office and retail space. Evidenced by the $1 million in state funding, many of us saw this as kick-starting the project that would create jobs and provide economic stimulus for the community. When Drucker lost his state house re-election bid in November, did the community also lose their most vocal supporter of the Paoli Transportation Center project? During the last 13 months, since the announcement of the $1 million funding, I have not heard of any ‘new’ news on the train station project. We saw the Paoli Transportation Center project used in campaign literature in November and by political candidates in the May primary, but what really has changed in the last 13 months? Hoping to gain perspective and an update on the Paoli Transportation Center project, I contacted elected officials and supervisor candidates. The following individuals were contacted for comments: State Rep Warren Kampf, State Rep Dwayne Milne, Michelle Kichline and John DiBuonaventuro, (Tredyffrin Twp supervisors and members of the Paoli Rail Yards Task Force) Norm MacQueen (Willistown Twp supervisor) and Tredyffrin Twp supervisor candidates Kristen Mayock, Tory Snyder, Mike Heaberg, Paul Olsen, Murph Wysocki and Molly Duffy. Understanding my short timeline for responses, coupled with summer vacation and work schedules, I accepted that some of those contacted would be unable to respond. However, I want to thank those that did take time from their busy summer schedules to offer their comments for Community Matters readers. Thank you for your email. I appreciate your concern as a constituent regarding the Paoli Transportation Center. My recollection is that most of the legislators and County officials support this project. The PennDOT Transportation Improvement Plan (TIP) currently has the Paoli Transportation Center (MPMS# 47979 and MPMS #60574) as a priority project and Chester County has this listed at the top of their list. Every few years the TIP projects are reviewed and that process is again underway. I will continue to advocate for the Paoli Transportation Center. Other communities have needs of course, but I consider Paoli to be a very high priority. I would caution you or anyone who sees planning or activity on other projects, for example, Downingtown, as somehow linked to the standing of Paoli. The process does not appear to work that way as I understand it. My belief is any work related to Downingtown that would receive State funding would need to go through the TIP process, and I do not see it on the TIP list I have. Further, I presume that the size of that project is far, far smaller than Paoli, so they would logically have different levels of work and funding associated with them, and probably very different timelines. The Paoli project is moving forward. I am told that both Tredyffrin Township and SEPTA are preparing separate RFPs for road way design needed for the transportation center this summer. Precise timelines, however, are not available. That there is work being done, and the funding needed for that work exists, are good signs in my view. Both Tredyffrin Township and Septa are about to issue Requests for Proposals for transit and road improvements. all of the work will be grant funded, mostly from federal funds. SEPTA’s RFP will be for design of the new station and parking garages. Tredyffrin is issuing 2 RFPs : one to lead the public input process and design road improvements associated with the Paoli Transportation Center; and the other for the design of the improvements recommended by the recent feasibility study for the Rt 252/30 intersection. The Township told me that once the RFPs are ready to go out they will be posted on the Township website, along with a project update. We are assured by Township and County representatives that Paoli remains a top transportation priority for Chester County. It continues to have the support of Federal and State representatives. Please make a brief statement on the Paoli Transportation Center project. In 200 words or less, please offer your opinion on why the project has lagged for 15+ years, if there is a future for the project and whether or not you support the project. If you support the Paoli Transportation Center project, as a supervisor, what would you do to ensure that it is a priority of the state’s Department of Transportation and receives adequate funding. I fully support a new Paoli Transportation Center, built in a way that improves the quality of life of our community and fully protects the interests of Tredyffrin residents. This project is a top local transportation priority for our federal and state legislators, the DVRPC, PennDOT, SEPTA and Amtrak. As a current Supervisor, I have participated in recent planning discussions and at our upcoming meetings the Tredyffrin BOS will consider two Requests for Proposals: 1) a public input process to assure that our community’s voices are heard and 2) design of local road improvements in the Paoli community, including the 30/252 intersection. Also, SEPTA is preparing a RFP for the design of the new station and parking garages. We’re making progress…Thank you for your interest in this important project. It is frustrating to see how slowly the Paoli project is taking, but it is significantly more complicated than a “simple” regional rail station relocation. The Paoli project is a public/private development on a former superfund site, which required clean-up, a zoning change in two municipalities, awarding of a contract to a private developer, coordination of two transit agencies (Amtrak and Septa), and juggling of various public funding sources. We have actually made a huge amount of progress on this complex process, but the devil is in the details and that is where we are — waiting for formal submission of plans from the developer and the transit agencies. That said, I believe that at least in Tredyffrin, there have been a number of individuals, some elected, some not, who have been advocates for the Paoli project over the years and have given endless hours of their time to help move the process forward. What I think we have lacked is a united Board of Supervisors in support and as advocates of the project, without which the need for the project probably seems less urgent at the state and federal levels. My goal as Supervisor would be to work to create that united front. Paoli has the potential to be a jewel in Tredyffrin. As someone who uses the Paoli station for travel to Philadelphia and New York and who lives near the station, I strongly support and will advocate for the Paoli train station redevelopment project. The infrastructure of the station is outdated and dilapidated. The roads around the station are unsafe and gridlocked. Lack of parking is a significant contributing cause of failed local businesses. Tredyffrin has lost out to neighboring townships in attracting new businesses because of the limited usefulness and overall undesirability of the Paoli station. We cannot afford to continue to do so. Exactly why the project has lagged is not as important at this juncture as recognizing the progress made in the last few years and keeping the pressure on to advance the project. Tredyffrin has a unique opportunity to transform a run-down station into a vibrant, smart growth transportation center. Intelligent redevelopment of the Paoli Rail Yard will encourage economic development in the Township, improve local traffic problems, alleviate congestion on local roads and encourage rail travel. This project is going to happen. Tredyffrin and SEPTA have already put the wheels in motion for transit, station, parking and area road improvements, using mostly federal grants. I have existing relationships with the Township and State leaders who are active participants in the reinvigoration of this project. As Supervisor, I will ask to be a member of the Township’s Task Force, making it one of my top priorities. Tredyffrin’s Opportunity. Some might offer the following reasons for the more than fifteen year tortuous path of the Paoli Transportation Center (Center)—complicated project, numerous governmental and private stakeholders, burdensome procedures, environmental issues, money, developers, and two townships. I say that this project has suffered from a lack of political will and vision. The Tredyffrin community would have long been enjoying a completed Center and a vibrant Paoli if Tredyffrin’s governmental leaders had vigorously pursued this important project with vision and leadership. I fully support the completion of the Paoli Transportation Center. This project creates jobs, short term and long term. The Center will revitalize Paoli. It will help make Paoli a vibrant town center in and for our Tredyffrin community. The new Paoli will mean an expanded tax base for the Township. If elected, I will fight for the completion of the Paoli Transportation Center. I will work with my fellow supervisors to present a united front in Harrisburg in the pursuit of project priority and funding. I will lobby legislators and other governmental officials, alone and with other stakeholders, relentlessly seeking our rightful share of funds. We must seize this opportunity for our Tredyffrin community. I hope that this offers some perspective on where the Paoli Transportation Center project stands with our elected officials and an indication from supervisor candidates as to what they would do to help the process, should they be elected. For those unable to respond by today’s deadline, due to work or vacation schedules, I will be glad to add their comments at a later time. Also, it is my understanding that there will be an official update on the Paoli Transportation Center project at Monday’s Board of Supervisors meeting. Looks like progress and forward movement on the project may be coming this way . . . .